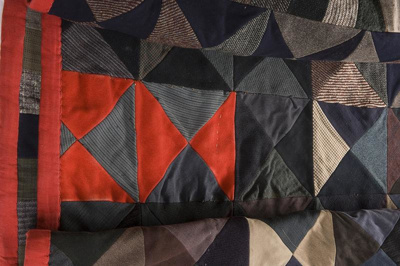 Double patchwork bedspread/quilt. Constructed from men's suiting materials (checks, stripes and velveteen). Edged with red flannel.